Does your interlock/concrete/deck look old and have stains? Don’t worry; we will pressure wash it and make look new. Action Home Services now offers power washing and sealing/staining services in GTA for our valuable customers. Our company has the best pressure washing equipment on the market that will clean any oil spills, stains, or dirt. By hiring us, you get the highest quality of service and extend the lifetime of your interlocking bricks, stamped, or aggregate concrete and deck. 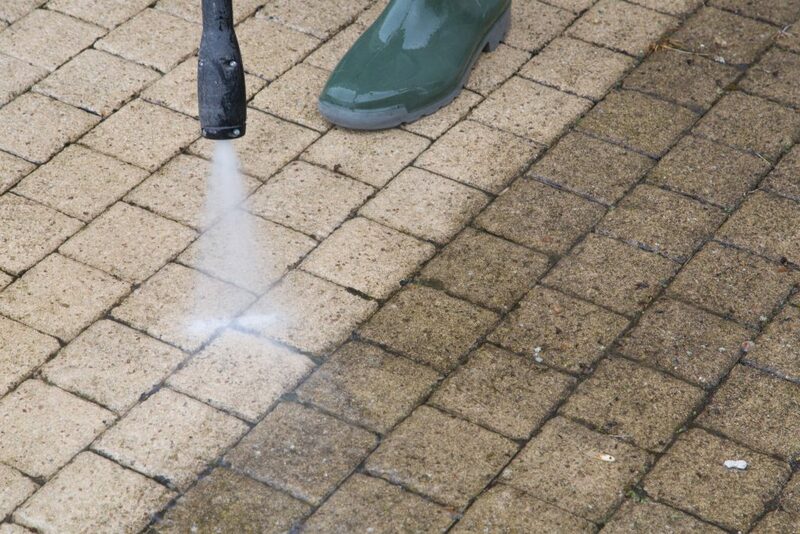 Pressure washing of driveway or walkway to remove weeds and oil spills, clean stain, and bring natural colour. Fixing sunken areas of your interlocking driveway or interlocking patio. Whether you are getting a new concrete driveway or you already have one, it’s crucial to maintain and seal it. 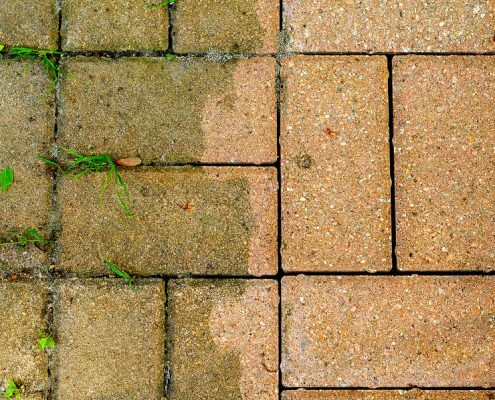 Action Home Services will power wash & seal your plain, aggregate or stamped concrete. 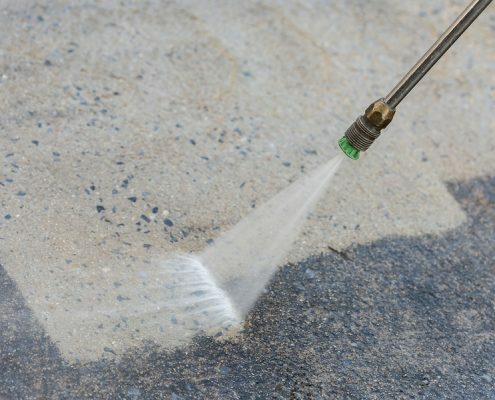 Sealing of concrete is a really important factor to maintain the appearance of the concrete and protect it from UV lights, oil spills, dirt or stains. After sealing your concrete, you will make it not only look great, but it will also last longer. However, it’s really important to make sure the concrete contractor who will seal your concrete uses only commercial grade sealer, which will not have any side effects like being slippery. A sealed concrete will have a vibrant colour and protect your concrete for years. Action Home Services is an experienced pressure washing & sealing contractor, serving Toronto, Markham, Vaughan, Scarborough, Brampton, Mississauga, Burlington, Oshawa, Richmond Hill, Milton, Oakville, Aurora, Caledon, Pickering, Whitchurch – Stouffville, Ajax, Whitby, New Market.